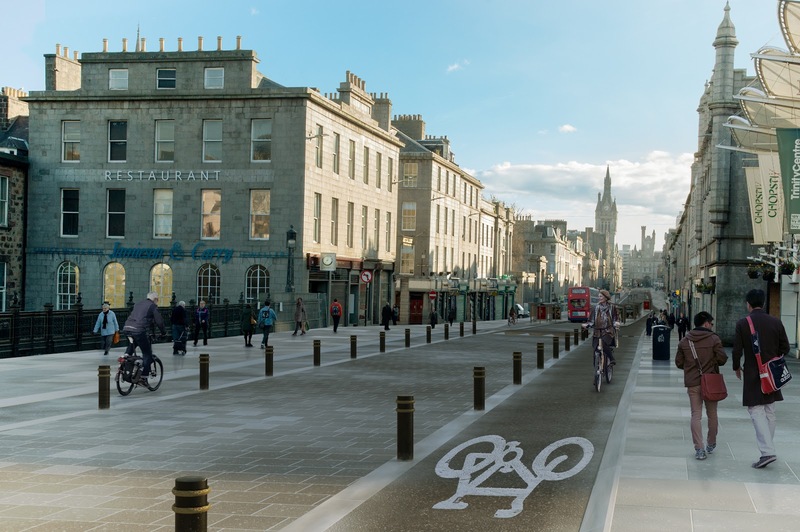 None of the streets in the circuit within Aberdeen city centre have any cycling infrastructure – but all would benefit from it. 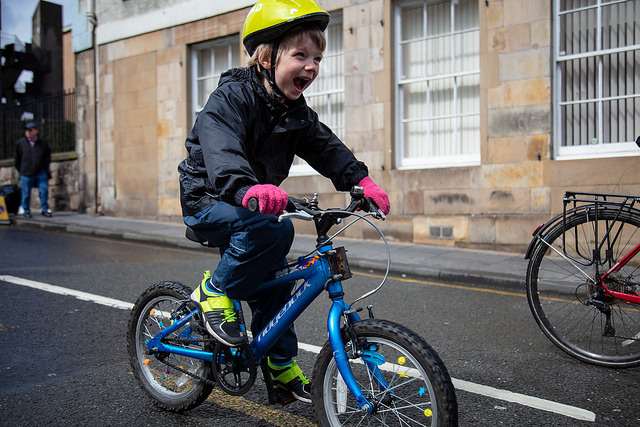 Between Rosemount Viaduct and Upperkirkgate is a school whose students would benefit from a segregated bike path. 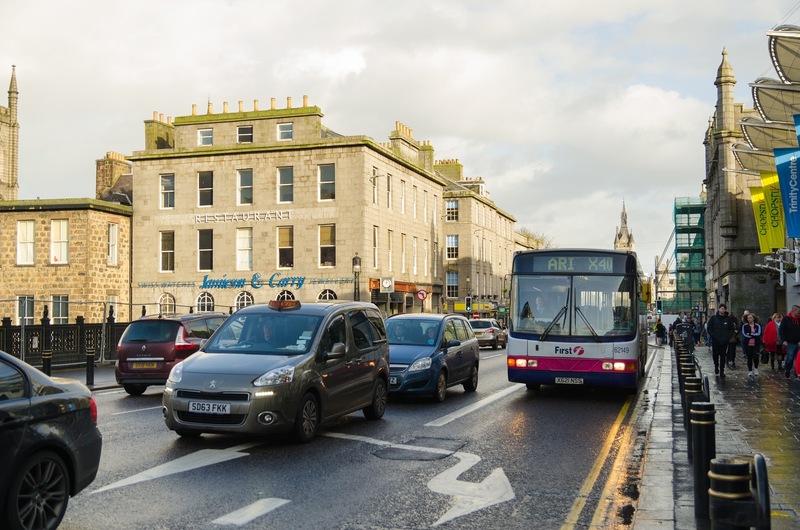 Broad Street is a shared space which penalises less confident road users. With hundreds of us cycling this circuit together for one hour we can enjoy the benefits of safety in numbers while showing the benefit that the Union Street bike path petition could bring to the area. 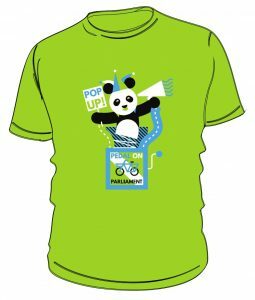 In Aberdeen we are having a ride on Sunday 28th April starting at 11am from Marischal College. 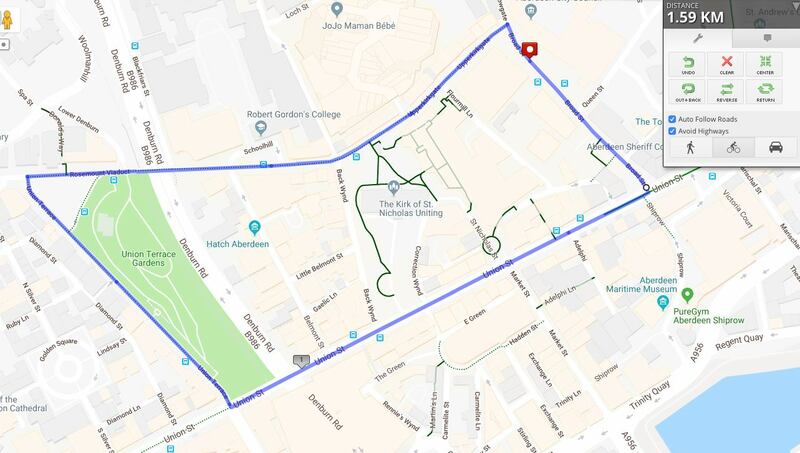 We intend to cycle a circuit starting from Broad Street, down Upperkirkgate, Rosemount Viaduct, left down Union Terrace, then left down Union Street to return to Broad Street. One loop is 1.59km but we intend to cycle the circuit over and over again for one hour for maximum visibility. How many times can we cycle this route in 1 hour?